The Resort Development Organisation (RDO) has issued a final reminder that special Early Bird Rates for this year’s RDO2 Conference at the Don Carlos Resort & Spa in Marbella, 26-28 September 2011, will end at midnight on 15 July. The Early Bird member rates of 750 euros include three nights’ bed and breakfast accommodation, welcome cocktail, lunches, gala dinner and wrap party, as well as the delegate fee. Registration is available on www.rdoconference.org. A great line up of guest speakers has been secured for this year’s conference, including Howard C. Nusbaum, Dr Alan Fyall, Jim Madrid and Jim Lawless. RDO2’s business sessions will cover topics such as marketing, performance building, insight into the geopolitical climate, branding, enforcement, what customers want in a resort and holiday experience, how the media sees the industry and more. 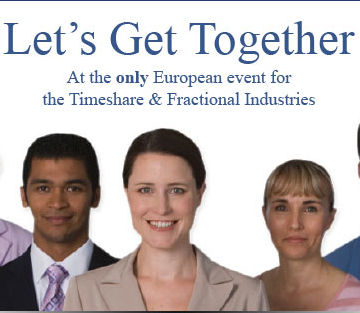 The RDO Conference is considered the prime event for everybody in the European timeshare and fractional ownership industries, giving delegates the opportunity to learn, talk and share ideas with other industry professionals in two days of highly-focused conference sessions and networking events.